On the day after Iran erupted into yet another revolt against the dictatorship of "Supreme Leader" Ayatollah Ali Khamenei, much of the mainstream media in the West acted as if nothing had happened. As Iranian women tore off their hijabs in protest on Thursday, the Friday edition of one Toronto paper carried a large photograph of two women in hijabs on the cover of its "insight" section, with the title #ACTIVISM. The first protests in Iran erupted in the country's second-largest city of Mashhad. They are most certainly of an economic nature. One does not need to be a Marxist to connect the dots between the economic deprivation of a million slum dwellers and their desire for economic change. The first protests in Iran were fueled by the desire for economic change. Keyvan Soltany, a Toronto-based Iranian activist, shared the work of Ali Ranji Poor, a BBC Persian-language journalist, who wrote an eye-opening article on Sept. 1, 2016, revealing that one of every three people living in Mashhad resides in slums, in deplorable conditions. 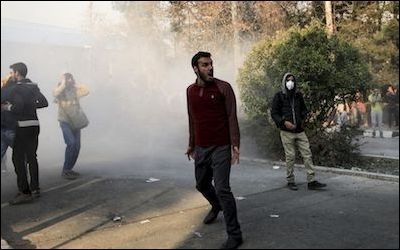 Poor predicted these million-strong Iranian paupers were on the verge of a revolt, against what the Iranian regime referred to as "austerity measures." So, when the price of eggs jumped seven times and bread became a luxury because of skyrocketing costs, the slum dwellers of Mashhad came out on the streets to protest. They were soon joined by political activists of every shade, from Maryam Rajavi's MEK, to women's groups belonging to the "White Wednesday" anti-Hijab movement, to monarchists, to Marxists. It was a perfect storm. Nobel Laureate Shirin Ebadi, speaking to the Italian newspaper La Repubblica, has now warned: "I think the [current] protests [in Iran] are not going to end soon. It seems to me that we are witnessing the beginning of a big protest movement that can go well beyond the Green wave of 2009. It would not surprise me if it becomes something bigger." To get a sense of how Canada's Iranian-born Liberal MPs felt about the uprising, I reached out to two Toronto-area parliamentarians, including Richmond Hill's Majid Jowhari. Neither responded to my queries or shared their opinions. Jowhari's views would have been interesting to know because early last year he was criticized by some Iranian-Canadians for lobbying for friendlier relations with the current Iranian regime. In a letter sent to Prime Minister Justin Trudeau, several Richmond Hill residents said they did not want to be represented by someone who is "working in the interest of a foreign country." Some MPs of Iranian origin appear more interested in representing Iran than in representing constituents. 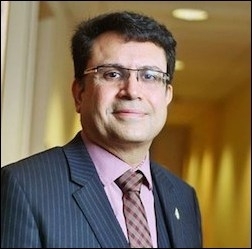 On New Year's Eve, I chatted with two Muslim residents of Richmond Hill, Aftab Chowdhury and Intizar Zaidi, who voiced similar concerns, saying some MPs of Iranian origin appear to be more interested in representing Iran in Canada, than in representing their constituents to the federal government. They also criticized Liberal MPs who support the federal government's so-called "anti-Islamophobia" motion, M103, while not speaking out in favour of the ongoing protests in Iran. In any event, the Middle East is undergoing a historical change with Iran and Saudi Arabia on different tracks, but both moving away from rule by clergy. That bodes well, except for Pakistan, which is inheriting the runoff from both countries.